Aerospace vehicles are some of the most complex structures to design due to the level of physics and mathematics that needs to be involved. CAE has been a key driver for reducing cost and accelerating innovation, but current processes still suffer workflow inefficiencies and results often come too late in the design cycle – especially when designing composite structures. 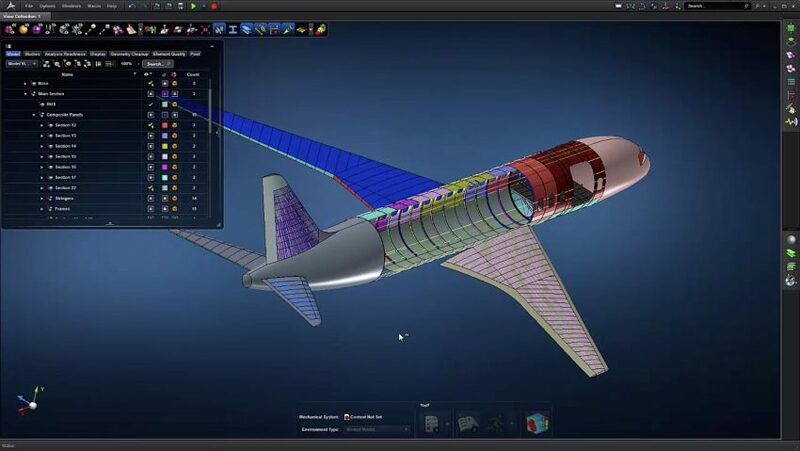 MSC Apex’s latest release, Harris Hawk, delivers a unique composite modeling and simulation experience that closely mimics the steps of the manufacturing process. Instead of using finite element abstractions, MSC Apex allows engineers to manipulate physical representation such as fabric, layups, plies, panels, and zones. Within a few hours, MSC Apex users can become efficient with composite modelling and on-the-fly failure calculation.